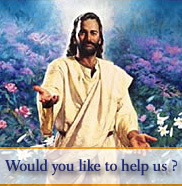 Why not join us as a Jesus4UsAll Affiliate Member and recieve the benefit of earning commissions for every contact you send us that purchases as well as recieving more benefits and its Free to Register with us. Copyright 2019 Jesus4UsAll.com. All rights reserved.